Panama City Beach is easily one of the top tourist destinations in all of Florida. Visitors include those in their college years to those enjoying their retirement years. They love coming back year after year to enjoy the fresh air, sunshine and ample local attractions. 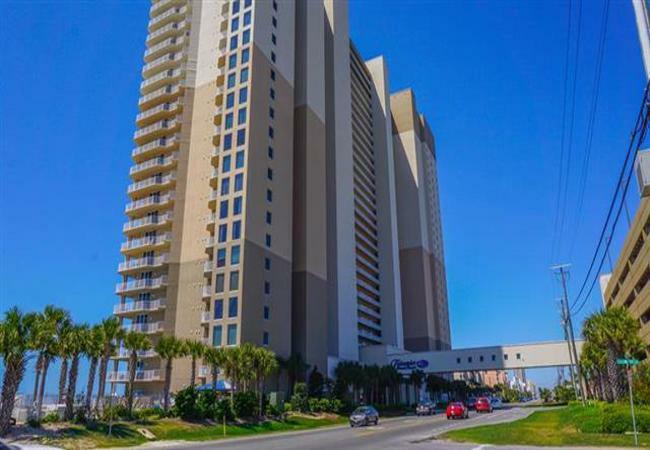 When looking for Panama City Beach vacation rentals, you might find yourself drawn to the Tidewater Beach Resort, which is home to more than 500 rental units that all come with amenities that are perfect for any type of traveler. One of the first things you might notice about this Panama City Beach resort is its sheer size. The resort is an impressive 31 stories tall and has both villas and condos available for rent on every floor. Each of those units can sleep between six and 10 guests. You might choose a smaller condo that has a private bedroom and a pull out couch in the living room for those trips you take with your kids, or you might select a larger unit that has three or more bedrooms. The amenities that come included in your unit depends on the type of room you want. You can select from a wide range of beds, including king or queen size beds, trundle beds and even bunk beds. All units come with central air conditioning, and many come with a washer and dryer unit. You can also rest assured that you’ll have all the linens you need, including comfortable bed linens in each bedroom and towels for using on the beach. Tidewater Beach Resort even has more than 100 rental units that come with gorgeous views of the gulf right outside. This resort offers so many different amenities and activities that you might decide to stay at the resort instead of checking out the surrounding area. It boasts an outdoor swimming, indoor swimming pool, hot tub and sauna. The indoor pool is heated to the perfect temperature every day. Kids of all ages will like the game room, which has some great arcade games. The resort also has its own reading library and board game library that let you borrow games and books for free. Some of the other amenities you’ll find that come with these Panama City Beach vacation rentals include a movie screening room, tiki bar, outdoor movie theater and outdoor grills. Tidewater vacation rentals also offer various free and paid services for guests as well. Rent a bicycle to explore the beach or areas near the resort, or hire a babysitter to watch your kids and experience a night out with the adults. If you fly into Panama City Beach, you can even hop on the shuttle to get between the resort and airport. Housekeeping, catering and event planning are other services available at this resort. Sign up for all the activities you want to do and take advantage of some great services when you book a rental at the Tidewater Beach Resort.